Little fun knits that makes a great gift! | A creative life tangled up in lovely yarn! A creative life tangled up in lovely yarn! Little fun knits that makes a great gift! I like to knit small projects that are fast but still give a bit of a challenge. It is much easier to learn new skills when you are starting a small project then when you are starting a big one. It´s not so daunting when you know the fiddling will only last for a few short rounds! 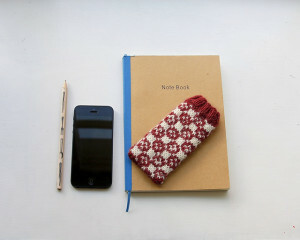 Smart phone cosies are just that kind of project. It takes about three hours to make one and there are endless possibilities for patterns! If you have set your eyes on a beautiful Faire Isle s weater and are new to stranded knitting (colour work) then a little project is just the thing to try if stander knitting is something you will stick with through a sweater. 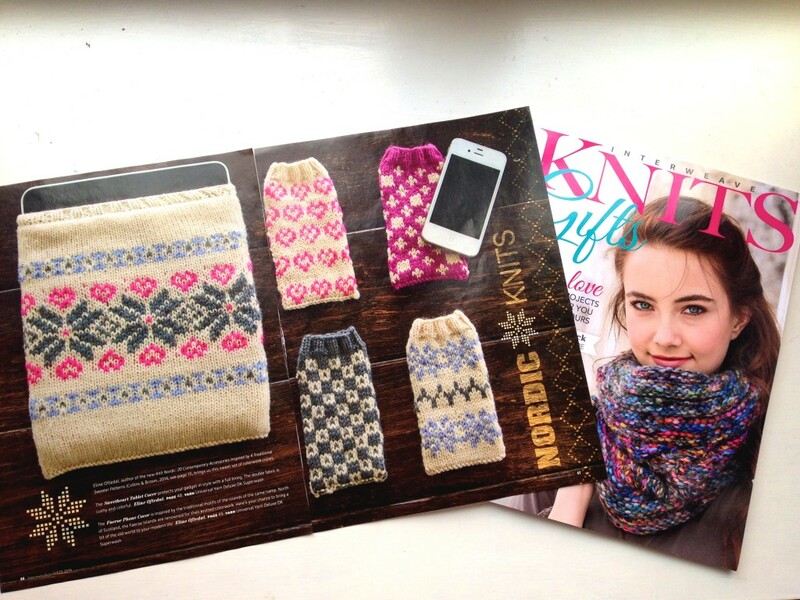 Some of my phone cosies and an iPad cosy are featured in the current issue of Interweave Knits Gifts. 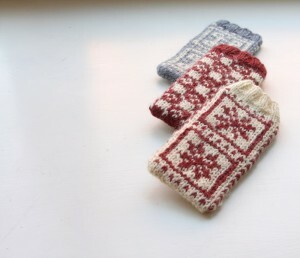 And these small knitted cosies are the perfect gift! You can knit one up in your friends favourite colour, or Dad can get one in a colour that matches his car! There are lots of small fun usable project you can try if you want to check out stander knitting. 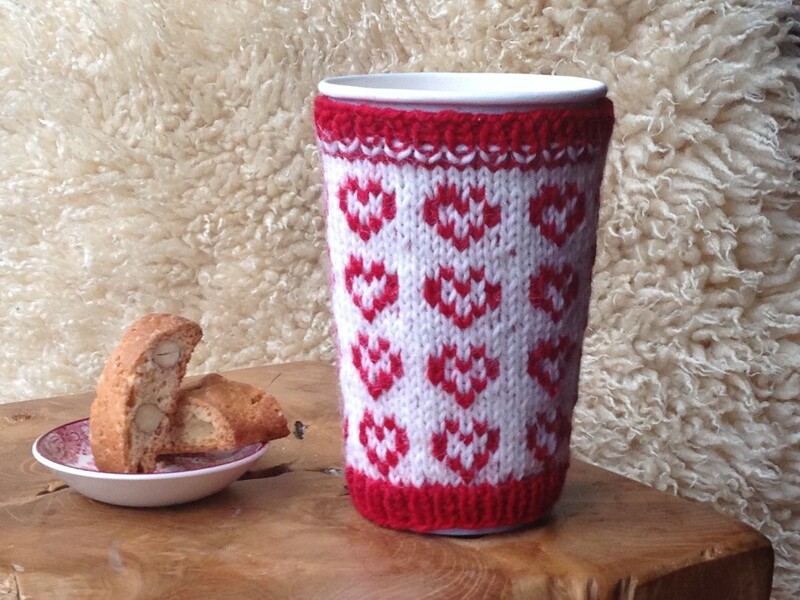 The “to-go” cup sleeve is fast to knit and great to gift. Three different varieties of smart phone cosies. The outer two are based on the pattern in the book “Knit Nordic” (Collins & Brown, 2014). The middle one available on Ravelry. This entry was posted in Uncategorized by eline. Bookmark the permalink. Hello! I am Eline and I love to make things, preferably in wool. I need to have a place for creativity in my life. Sometimes I have a lot of time for creativity and then I have time to write knitting books and design many patterns - other times I have less time and then I just make things for fun. I hope you will find inspiration to feed your own creativity here on my blog!